SHOULD I TAKE MY CRIMINAL CASE TO TRIAL IN PENNSYLVANIA? If you're facing criminal charges in Pittsburgh or Western Pennsylvania, you may be considering if you should take your criminal case to trial in Pennsylvania. Whether you have been wrongfully accused, overcharged, or feel that you have a strong defense to your charges, the decision to go to trial is one of the most important - and complicated - decisions an accused person can make. The decision on whether or not to accept a guilty plea or proceed to trial differs on each and every single case. Without knowing the details of your specific case, it is impossible to pinpoint every factor that might be important in making this decision. This is a brief overview of the considerations that come into play in making this important decision. HOW STRONG IS THE COMMONWEALTH'S CASE AGAINST YOU? Above all else, the most critical factor in making a decision on whether to plead guilty or go to trial is the strength of the Commonwealth's case against you. While it is impossible to predict the outcome of most cases, a seasoned criminal defense attorney will be able to review the preliminary hearing transcript and case discovery to assess the strengths and weaknesses of a particular case, and give an educated opinion about the likelihood of success at trial. Factors such as physical and forensic evidence, the credibility and number of witnesses, and the legality of police behavior all factor into the decision on whether or not to go to trial. In some cases, the evidence of your guilt may be overwhelming, making the decision to accept a plea a relatively easy decision. In other cases, the Commonwealth has such a weak case, that the charges may be dismissed by filing pretrial motions. A more difficult situation may arise where the Commonwealth's case against you is strong with some charges, but weak with others. For example, in a physical altercation, the Commonwealth may be able to prove that you committed a misdemeanor Simple Assault but lacks the evidence needed to prove serious bodily injury to meet the elements of an Aggravated Assault charge. In this example, it may be worth going to trial to defeat the felony charge while expecting a conviction on the misdemeanor assault. ARE THERE FAVORABLE DEFENSES FOR MY CASE? HOW FAVORABLE IS THE PLEA OFFER? The type of plea offer received is another major factor for consideration in the decision on whether or not to proceed to trial. Prosecutors typically focus on the facts of the case and likelihood of success at trial, sentencing guideline ranges, the offender's prior criminal history, office policies regarding plea offers, and the opinions of police officers and victims. Some prosecutors are more reasonable than others, and your criminal defense lawyer will be able to help you assess the pros and cons of any plea offer. HOW MUCH TIME AM I FACING IF I LOSE? In every criminal case, the courts will prepare individualized sentencing guidelines for each defendant, which list a mitigated, standard and aggravated ranges of monthly sentences. The jail time you face depends upon your prior record score (i.e. prior criminal record graded 1-5 and RFEL/REVOC), the offense gravity score (from 1-14 based upon severity), and the tendencies of your sentencing Judge. In criminal cases, the prosecutor may offer to drop some of your charges or offer a lower, mitigated range sentence in return for a plea. However if you elect to go to trial, the sentencing is left entirely up to the Judge if you are found guilty of some or all of your charges. For example, a Defendant who is charged with a first offense burglary charge may be facing a minimum of 9-16 months in the standard range of his guidelines. The DA may offer to drop the burglary and let the client plead guilty to a misdemeanor theft charge for probation. If the Defendant rejects the plea offer, proceeds to trial, and is found guilty of burglary, he could receive a standard range sentence of 16-32 months. SHOULD I PROCEED TO A JURY OR NON JURY TRIAL? When proceeding to a jury trial, you, your criminal defense attorney and the District Attorney will select a total of 12 jurors and 2 or more alternate jurors through the jury selection process. All parties will have the ability to ask questions of prospective jurors to ensure that they can be fair and impartial, and keep certain jurors off of the case through either peremptory challenges, or challenges for cause. Due to jury selection, jury instructions, the need for periodic breaks for the jury and the need for sidebars to address objections, jury trials take considerably longer than non-jury trials. Judicial Bias: A judge with a history of being biased towards the prosecution is not a judge with whom you typically want to decide your case. On the other hand, a non-jury trial may be best if the judge is capable of being fair, demonstrates a bias towards the defense, or has a history of treating certain types of cases in a favorable manner. 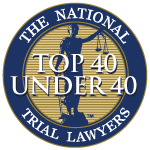 The Nature of the Allegations: The nature of the allegations may make a non-jury trial a more desirable route. For example, a defense attorney who feels that the jury may be swayed by emotion in a particular case may opt for the more level-headed decision making of a judge. Sentencing Considerations: Although judges are not allowed to sentence an individual more harshly for exercising their right to a trial, there are times when this does in fact occur. A judge might feel "inconvenienced" by a Defendant who elects to have a 5-day jury trial on a case that could have been resolved with a 1-day non-jury trial. The Commonwealth has a right to a jury trial: The Commonwealth has the right to have a jury trial on criminal cases, and must agree to waive its right to a jury trial before a non-jury trial can be held. Stipulated Non-Jury Trial: With a stipulated trial, the Commonwealth and Defense do not present witnesses, but state on the record facts which are agreed upon as being true. A stipulated non-jury trial is often an option when the facts of a case are weak, and a trial would be unnecessarily time-consuming. Stipulated trials are also used in cases where the defense loses a pre-trial motion, and is seeking a quick verdict so that an appeal can be filed. HOW MUCH RISK AND STRESS AM I WILLING TO TOLERATE? A client's mindset is an important factor in any case decision. Some clients are willing to "roll the dice" and go to trial regardless of the potential outcome. Other clients want a quick resolution and appreciate the certainty of a plea agreement over the uncertainty of trial. Every case is different, and the decision to go to trial must be carefully considered by the defendant and his or her counsel. CAN I AFFORD THE COST OF HIRING A LAWYER FOR TRIAL? If you hire a plumber to install a new toilet, the cost will be cheaper than asking the same plumber to gut and remodel your entire bathroom. The same concept applies with regards to hiring a criminal defense attorney. Trial preparation requires a substantial amount of time and effort from your criminal defense lawyer, and you should be expected to pay a premium for trial representation. Additionally, it may be necessary to hire a private investigator to conduct an investigation on your behalf. It may also be necessary to hire an expert witness to testify in your case, such as a toxicologist, accident reconstructionist, or forensic psychologist. WHAT SHOULD I DO IF I'M CONSIDERING THE POSSIBILITY OF TRIAL? It is critically important that you begin speaking with criminal defense lawyers in your area as early on in the process as possible. Your criminal defense lawyer can begin undertaking efforts to acquire and preserve evidence, and begin laying the groundwork for your defense at your preliminary hearing. If you are facing criminal charges in Pittsburgh and Western Pennsylvania, contact the Zuckerman Law Firm at 412-447-5580 today. Our criminal defense trial lawyers have experience prosecuting and defending those accused of crimes, and can put our experience to use for you moving forward.